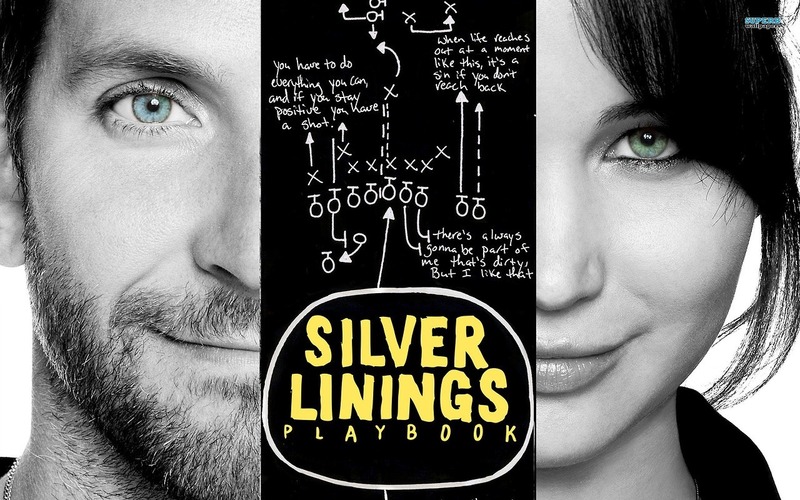 Silver Linings Playbook tells a story of Pat Solitano; a bipolar patient, played by Bradley Cooper, who has just been released from a mental institution. After a tough breakup with his wife, Pat must struggle to find a way to reenter society. On his way to that he tries to win back the heart of his wife. He finds help on this journey from a troubled individual, by the name of Tiffany. Jennifer Lawrence plays the role of Tiffany, a widow who is coping with the lost of her husband. This movie also stars Robert Deniro, as the concerned father who tries to reconnect with his son. He uses his love of the Philadelphia Eagles and football to try and reconnect. David O. Russel, the director of ‘The Fighter’, has a sleeper hit on his hand. Russel has captured the essence of Philadelphia through the movie. Robert Deniro and Jacki Weaver, who play the mother and father, play some of the most authentic Philadelphian personalities that I have had the pleasure watching in a long time. Robert Deniro’s acting is superb and shows no signs of declining with age. Bradley Cooper and Jennifer Lawrence display to the world that they are ready for more rewarding roles than their box office hits. Seems like just yesterday, I was watching Jennifer Lawrence in the movie-adaptation of ‘The Hunger Games’. It’s nice to see how Jennifer Lawrence has progressed for a young actress. Bradley Cooper is establishing himself as a multidimensional actor, coming from roles like ‘The Hangover’. I really enjoyed the way Cooper and Lawrence depict these troubled individuals. The emotions that they display during arguments and stressful times are very touching. The on screen chemistry caused by the clash of these two personalities is a delight to watch. The unstable lives of these characters makes you feel surprisingly at home. You’ll find it hard not to smile or laugh at the dark humor that happens through Cooper and Lawrence. There’s never a dull moment in the movie. You can’t help but root for Pat, a man who has lost it all and is trying his hardest to come to terms with his illness. I highly recommend this movie. If it’s still available in your area go out and watch this movie. You won’t regret it. This heartwarming adventure of a man dealing with his bipolar condition will stick with you. This entry was posted in Movie Reviews, Uncategorized and tagged Bradley Cooper, eagles, hangover, jennifer lawrence, philadelphia, Silver Linings Playbook, the eagles, the hangover, the hunger games. Bookmark the permalink. One of the best movies of the year for me. It just made me laugh, made me happy, made me a bit sad, and even had me tear-up just a bit. The last act or so gets a bit conventional, but that’s pretty much expected of material like this and that was all fine with me because of how much fun I had with the final-product. Good review. thanks man. It was a really good movie. I had to write about it.